Get a great meal and donate to the library at the same time! Support our Friends of the North Brunswick Library and dine out at the Greene Turtle on Thursday, March 28th from 4-9 PM. Print out this flyer and bring it with you and 20% of food sales will be donated to the organization. Thursday, March 28 from 10:15am-11am Please note that if your child doesn't arrive on time, her/his registration will be transferred to a child on the waiting list. No exceptions. Children are invited to practice yoga with us through exciting activities like yoga stories, yoga songs, yoga games, yoga adventures, hands-on mindfulness activities, guided meditation, and more. Have fun, build strength and learn relaxation techniques at this hour-long yoga class for children. Wear comfy clothes. Caregivers are welcome to participate. For ages 3-6. 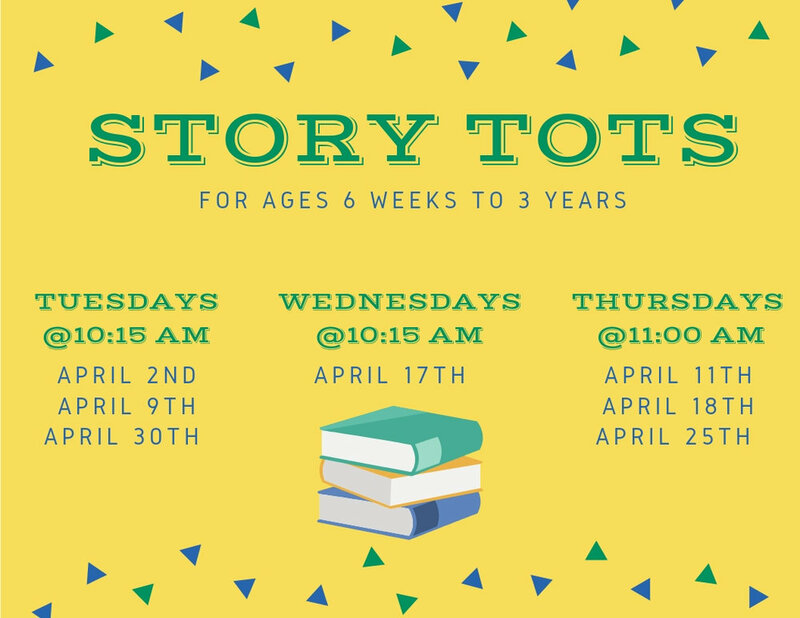 Join us for stories, songs, crafts and more! For kids and their parents/caregivers. No registration necessary. For kids ages 6 weeks to 3 years. Children from ages 3 to 6 (with a favorite adult). Preschool activities geared toward science, technology, engineering, art, and math. Drop in program. Wednesday , March 20th from 10:15am-11am Please note that if your child doesn't arrive on time, her/his registration will be transferred to a child on the waiting list. No exceptions. 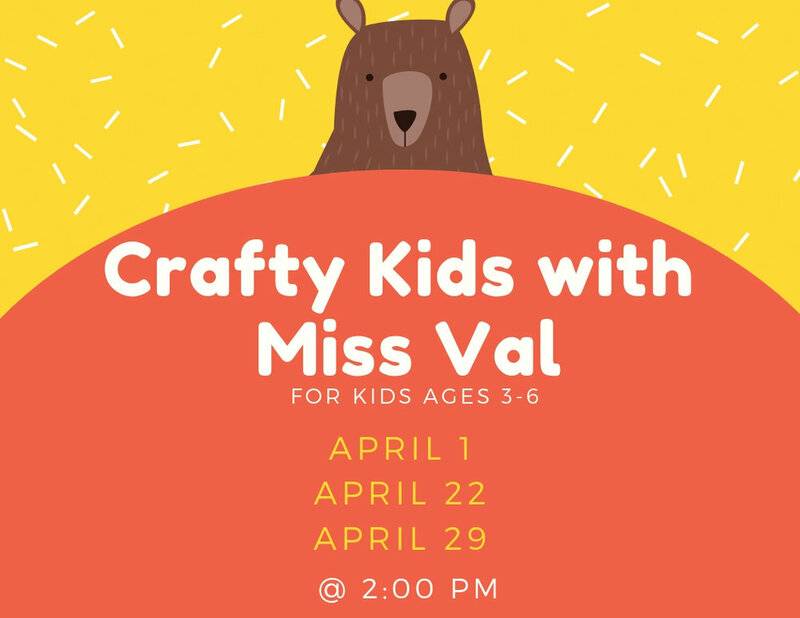 Stories, crafts and letter recognition for children ages 3-6.